Long Island University annually seeks nominations for the George Polk Awards. Winners are chosen from newspapers, magazines, television, radio and online news organizations. Judges place a premium on investigative and enterprise work that is original, requires digging and resourcefulness, and brings results. Nominees are proposed and selected by a national panel of advisors. The panel also considers entries that originate from publication offices, newsrooms or individual reporters. Categories vary from year to year, but it has been customary to give awards in foreign, national and local reporting (in print and broadcasting), business and environmental reporting and photojournalism. 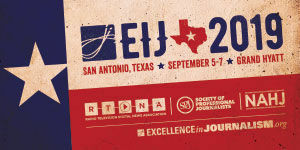 Electronic journalism, documentary films and books based on investigative reporting or dealing specifically with the field of journalism also may be considered. While the journalists or media outlet do not have to be American, all entries must be in English (no translations). $50 entry fee. Deadline: Jan 11, 2019. In recent years, each winner has been awarded a cash bonus, made possible by the Nicholas B. Ottaway Foundation and the Marian S. Heiskell Giving Fund. Judges often confer a career award for a body of work.